Under the delightful name of The Secret Life of Carols, the Medieval music group, The Telling, is touring a pair of carol-themed concerts next month. The group will be touring two programmes, The which explore the history of the medieval carol from its origins as a simple dance from with no relation to Christmas at all. They will be performing a mixture of carols, some well known and some unknown. The Telling has a growing reputation for intimate, staged concerts to bring old music off the page and reach wider audiences. They create a different concert experience, combining ballads and upbeat instrumental dances with narrative, readings or film. They often perform some numbers while moving around the audience, using lighting and/or candlelight. 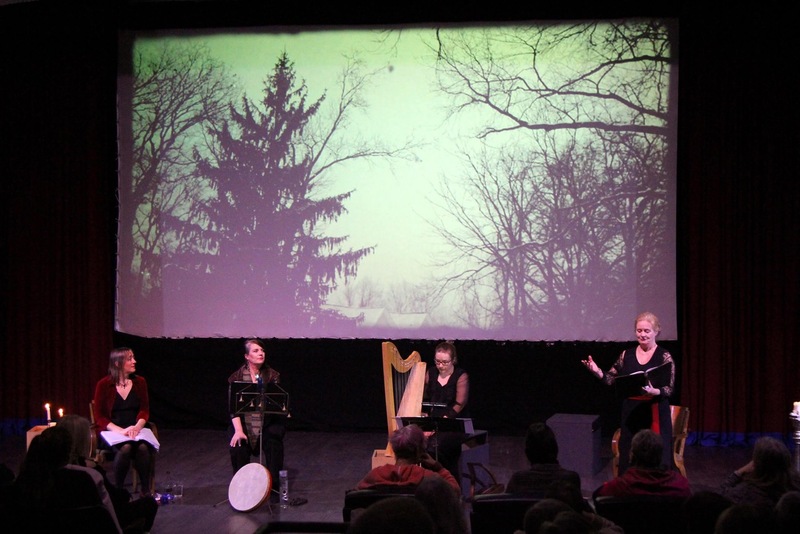 The group includes Kaisa Pulkkinen (medieval harp, recorder), Joy Smith (medieval, Celtic harp), Clare Norburn (voice), Ariane Prüssner (voice, harp, percussion), with actor Patience Tomlinson. Many will recognise Clare Norburn's name as one of the founders and artistic directors of the Brighton Early Music Festival, a role she stepped down from last year. From 2 December 2018 the group will be doing a seven-stop tour starting at St Leonard's on Sea (2/12) and continuing to St John's Church, Wimbledon (5/12), the Nordic Church and Cultural Centre, Liverpool (8/12), Little Missenden Parish Church (14/12), St Thomas More Church, Finsbury Park (15/12), St Andrew's Church, Marks Tey, Colchester (16/12) and St Paul's Community Hub, Worthing (19/12).